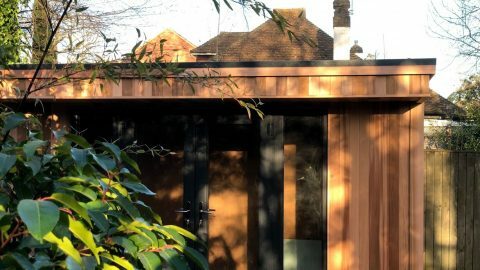 Have You Considered Working From Home in a Garden Office? More and more businesses across the UK are beginning to understand the benefits that can come from introducing flexible working policies. These can include family friendly working hours, term-time working and flexi-time. But one that is becoming increasingly popular is giving employees the opportunity to work from home. Cutting travel costs to work and saving hours in commuting time every week, if you have the chance the work from home, have you considered it? 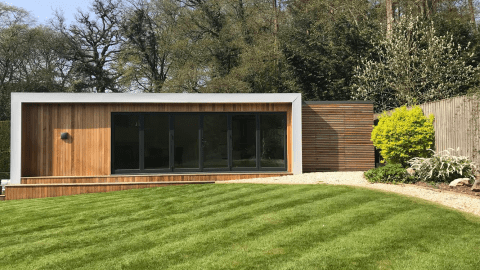 You may think that that you don’t have a suitable workspace in your home but the fact is if you have a garden, then there is an ideal solution. 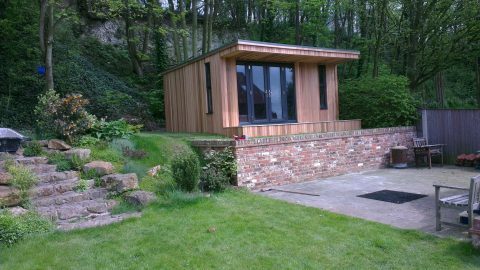 Utilising one of our modern garden room designs as an office is becoming increasingly popular. 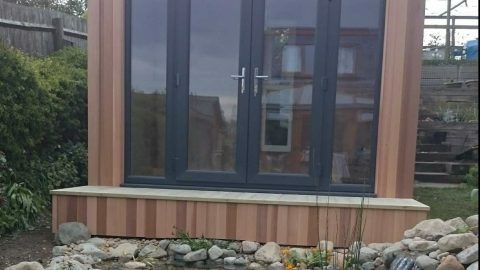 Built to the highest standards, they offer the finest working conditions all within the beautiful surrounding of your garden. So if you have the chance the work from home, why not consider it, chances are you’ll not regret it! How do you get to work and back every day? By car? Train? How long does it take you? How much does it cost you? 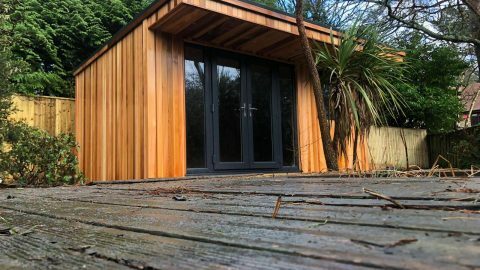 Imagine the amount of time and money you would save if you simply had to walk outside into your very own dedicated office in the garden? A significant amount! From the people we’ve worked with previously, the money saved could easily pay for a family holiday and the fact you can spend more time with loved ones is priceless. Wherever you work, you’ll almost certainly be working in what is a rather uniform and bland office. Whilst there is nothing wrong with this, wouldn’t it be nice to be able to design your own workspace? 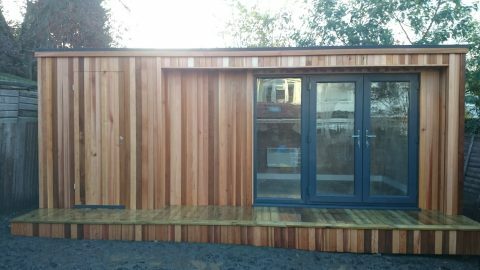 That’s exactly what you can do with one of our modern garden rooms. You can make your office as conservative or as bright as you want and there is no doubt that designing your own workspace will only increase your productivity. Are you stressed before you even start work due to the traffic or late trains? 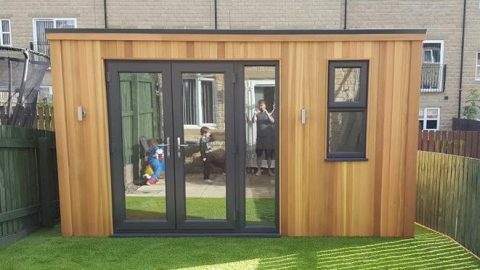 That’s in the past with a home office in the garden. No more hustle and bustle. Instead, you can stroll into the garden and into your office stress-free. And no more queueing up at lunch for unhealthy snacks. Instead, you can use all that time you’ve saved from commuting to prepare a healthy lunch in the kitchen. 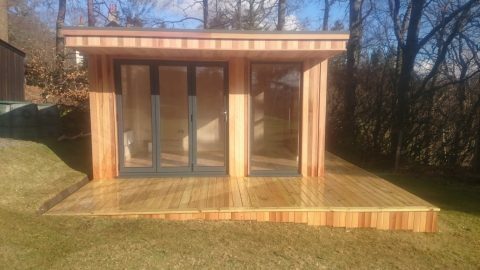 Undoubtedly, with a garden office, your work/life balance will be better. If you have a family, the extra time you can spend with them is priceless. Being able to watch your children grow up is a blessing and those years are ones that you can never get back. 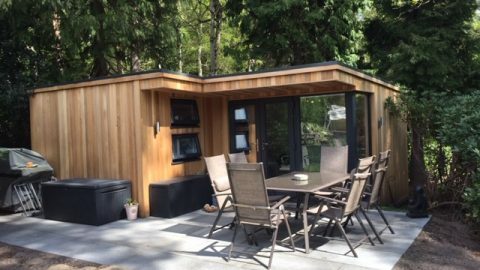 It is clear that the relatively small investment to buy a modern garden office give you unbeatable returns in time, flexibility and overall quality of life. « How to have a tidy house and keep the kids entertained? Tell me more….!! !